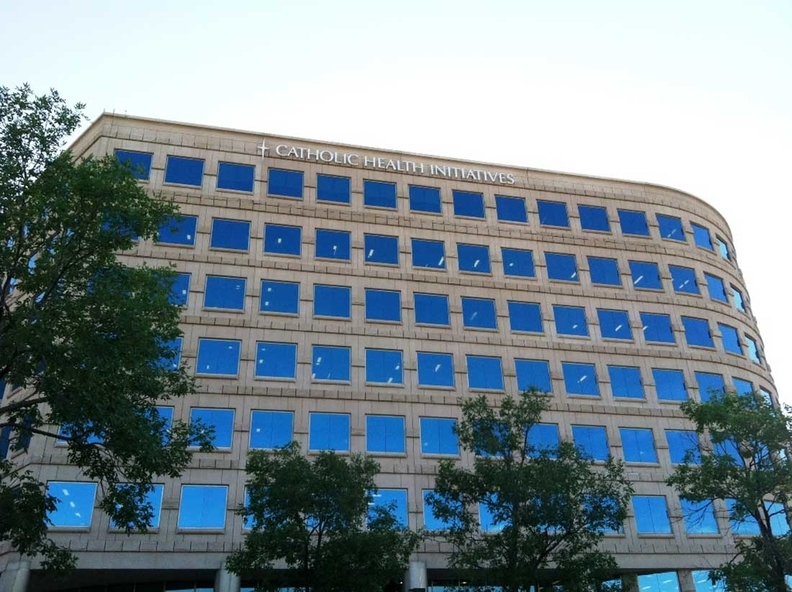 Catholic Health Initiatives, which has its headquarters in Englewood, Colo., is in merger talks with San Francisco-based Dignity Health. Catholic Health Initiatives narrowed its operating losses in its fiscal second quarter when excluding one-time charges for restructuring and goodwill impairment, the company disclosed Wednesday. The Englewood, Colo.-based hospital company, which is in affiliation talks with Dignity Health, posted operating losses of $75.6 million before charges in the quarter ended Dec. 31, compared with operating losses of $93.7 million in the year-earlier quarter. Revenue increased in the quarter to $4.2 billion from $4 billion in the year-ago period. The Catholic-sponsored system of 103 hospitals is in the middle of a turnaround plan now being shepherded by interim operating chief Anthony Jones, a Los Angeles-based management consultant who replaced longtime COO Michael Rowan, who resigned in December. If those negotiations lead to a merger, it would create the nation's largest not-for-profit hospital company by revenue, with combined annual revenue of $27.8 billion and a total of 142 hospitals. St. Louis-based Ascension has annual revenue of $21.9 billion. “The organization is confident that this disciplined, rigorous effort will yield further positive results in financial performance over the next six months of this fiscal year,” CHI said in the statement. The system experienced mixed results across its various regions during the quarter. Overall, same-facility expense growth exceeded revenue growth and the payer mix deteriorated. CHI's restructuring and impairment charges jumped to $78.3 million in the quarter compared with $18.3 million in the year-earlier period. With those one-time charges, losses from operations increased to $153.9 million in the quarter compared with $112.1 million in the year-ago quarter.